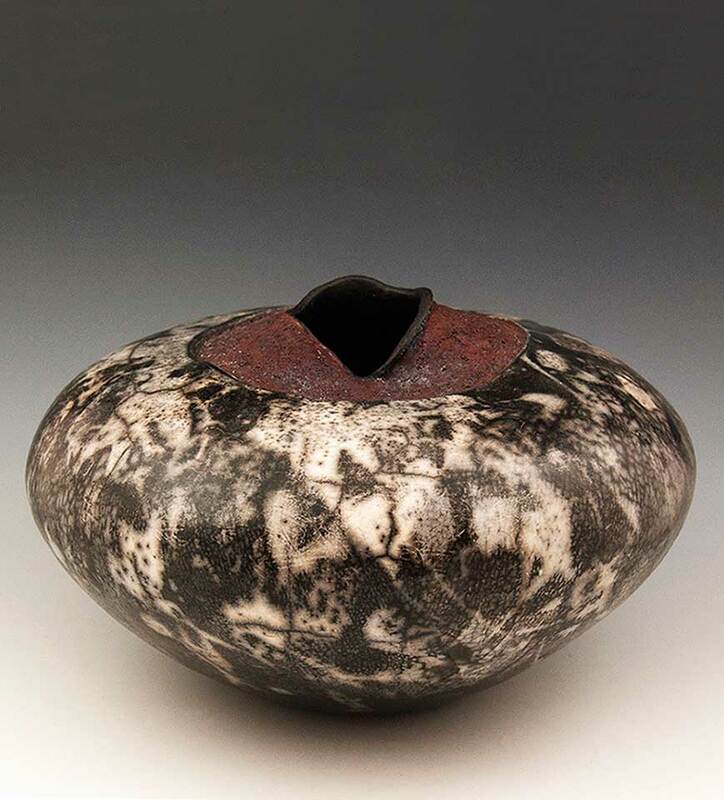 Work in process: Hand-coiling and smoothing "Armadillo Hiding"
There are several steps in the naked raku process. 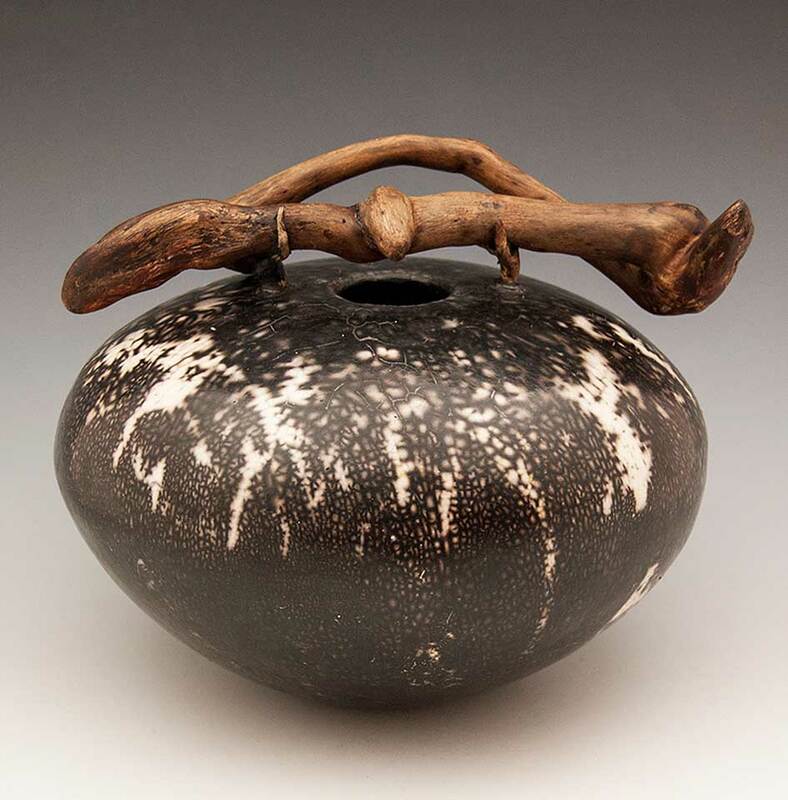 All of my work is hand-built and allowed to dry to leather-hard, then I burnish the surface and cover with thin layers of terra sigillata, allowing this to dry to "bone-dry". 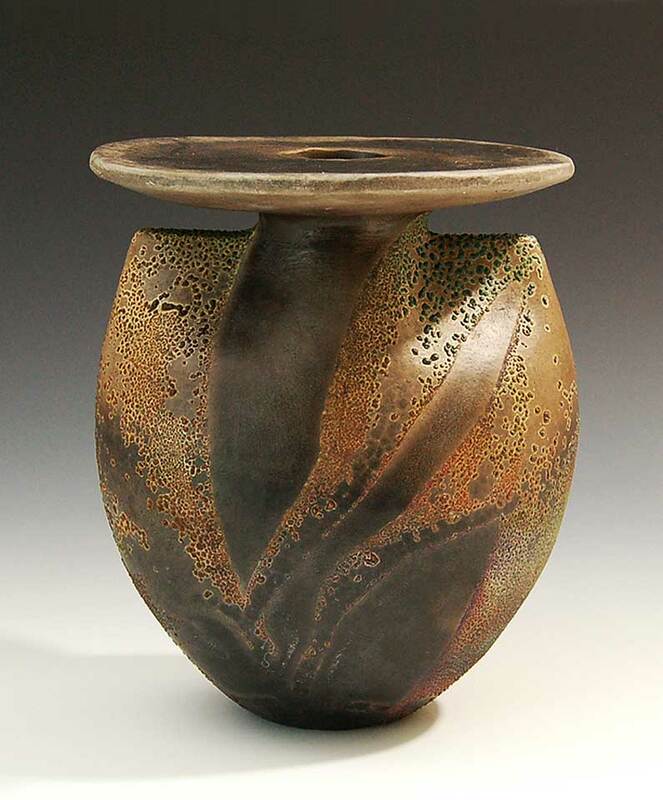 The work is then bisque fired. 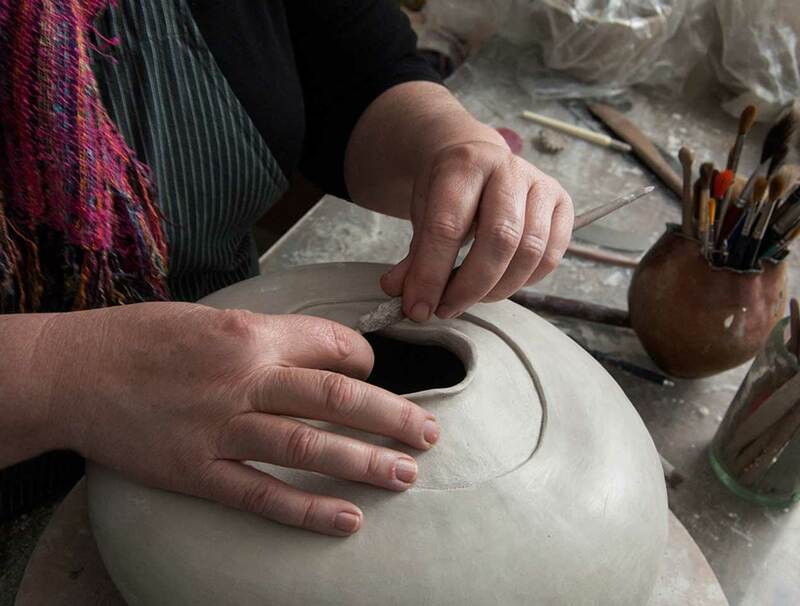 Next, the bisqueware is covered first with a slip, then with a clear crackle glaze. 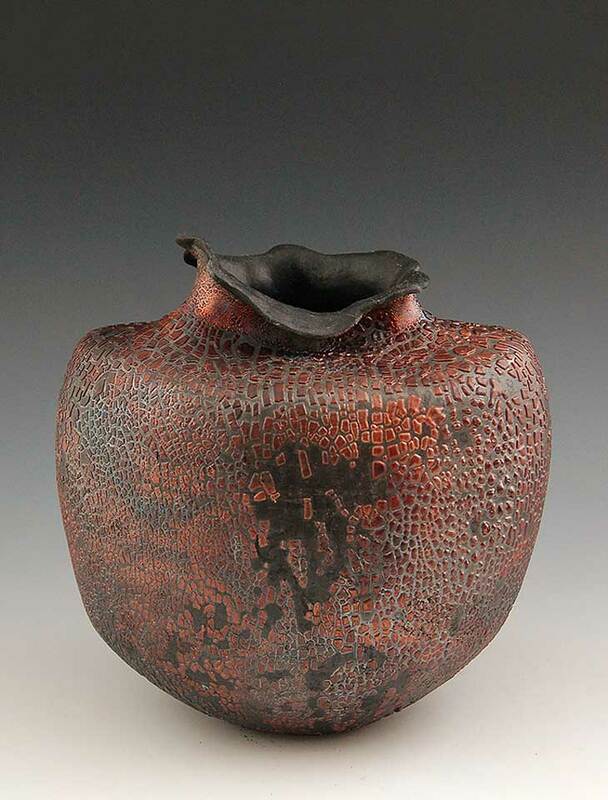 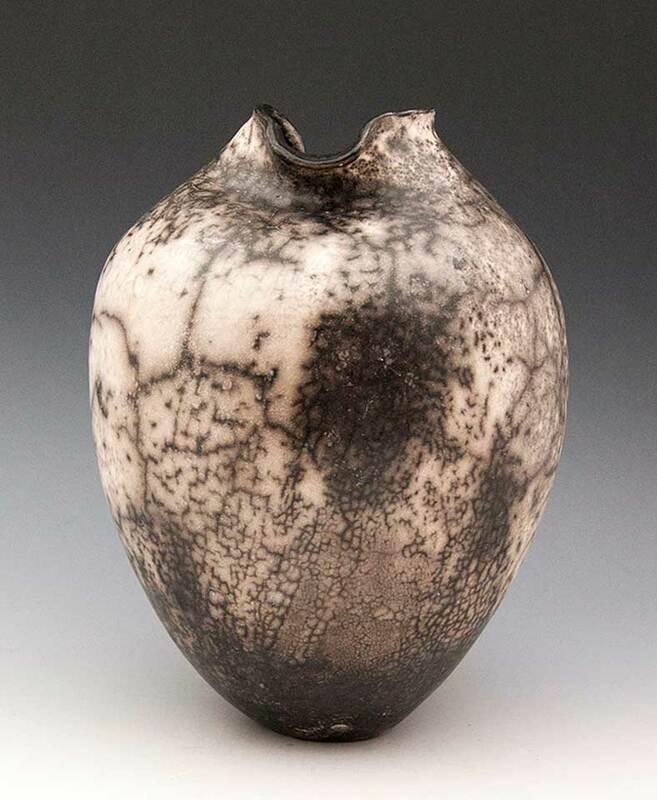 The slip is used as a barrier between the clay surface and the crackle glaze so that they will separate after firing. 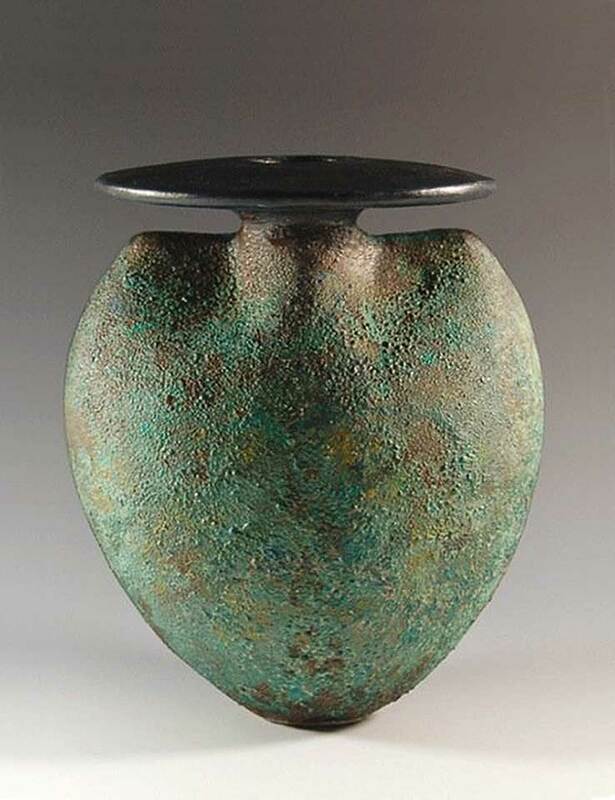 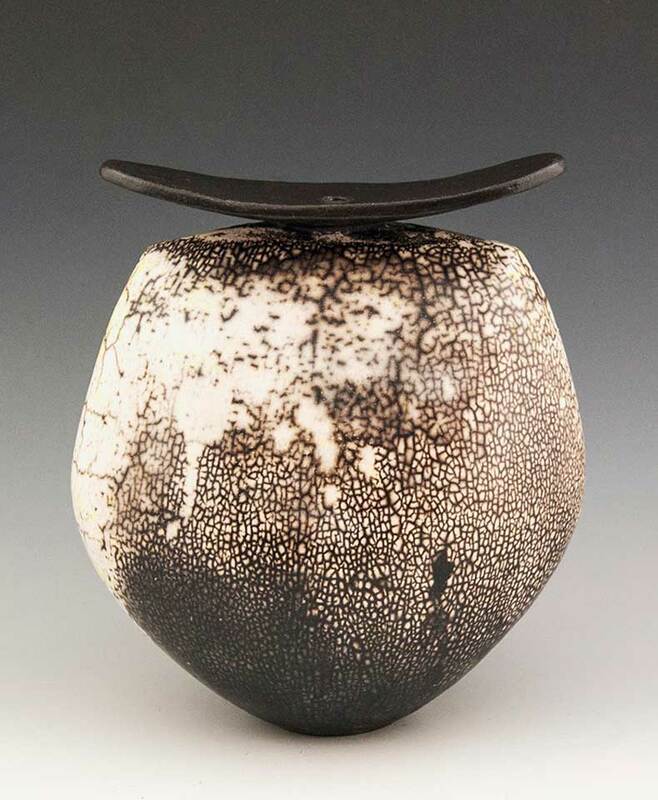 The piece is then fired in a raku kiln to a point where its surface glaze starts to bubble (usually between 1400˚F to 1500˚F. 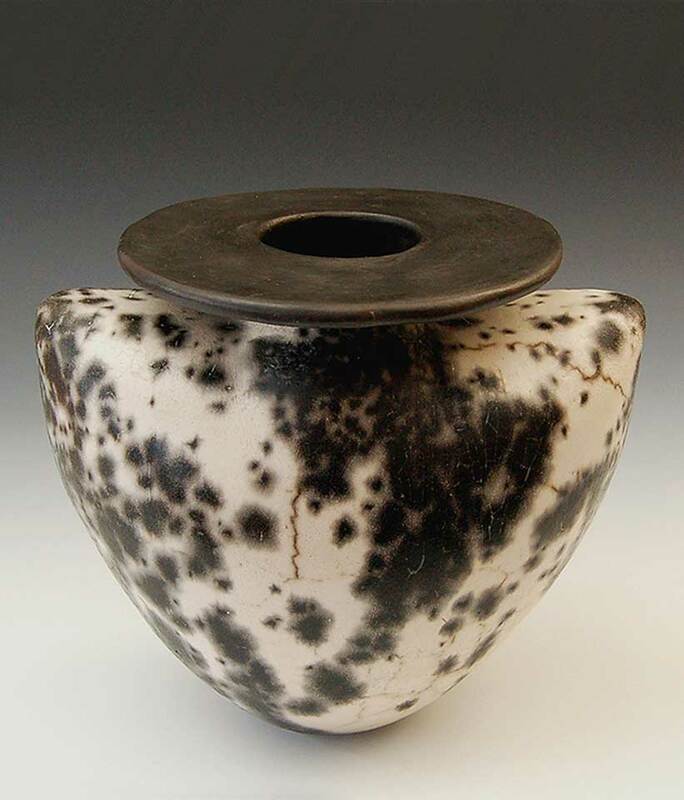 At that point, the vessel is removed from the kiln and immediately placed in a reduction bin filled with combustibles, such as paper or sawdust, and covered. 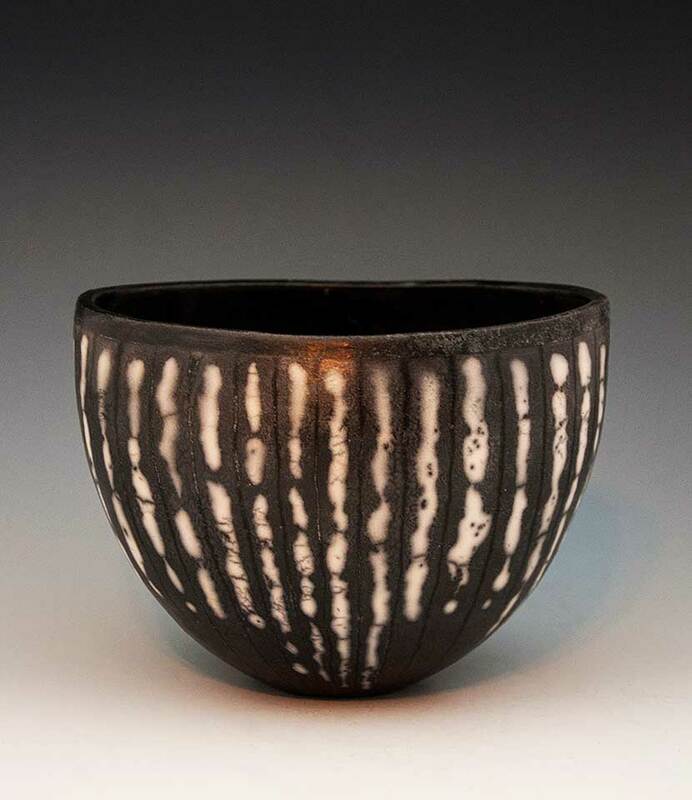 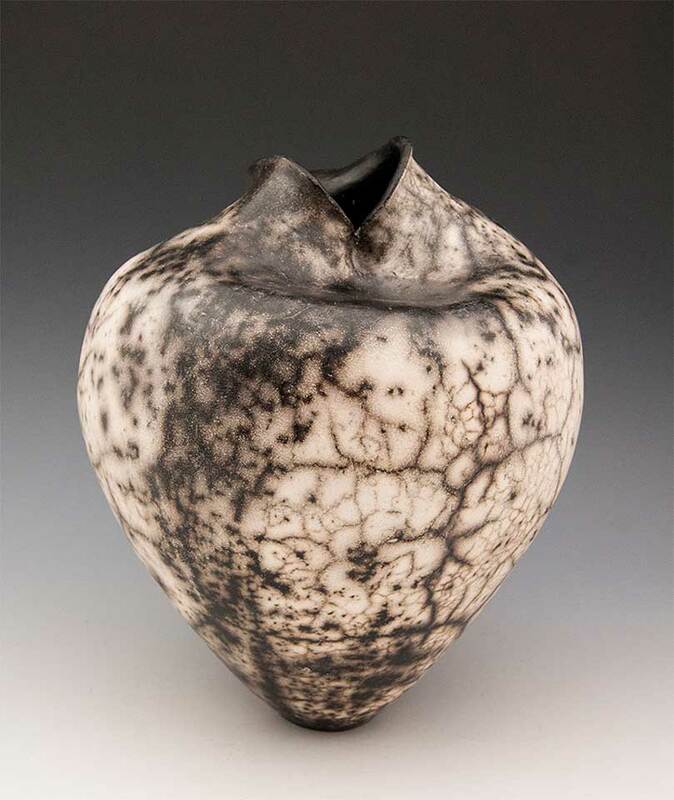 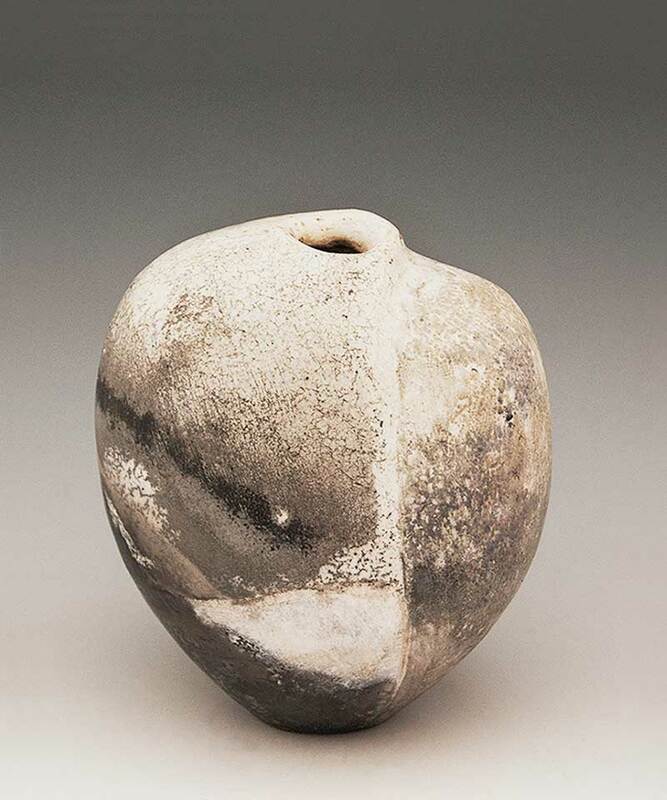 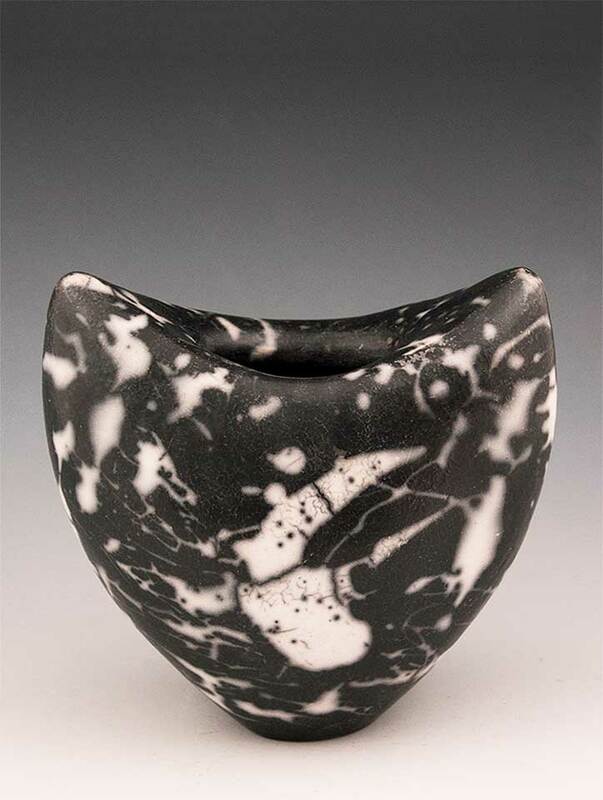 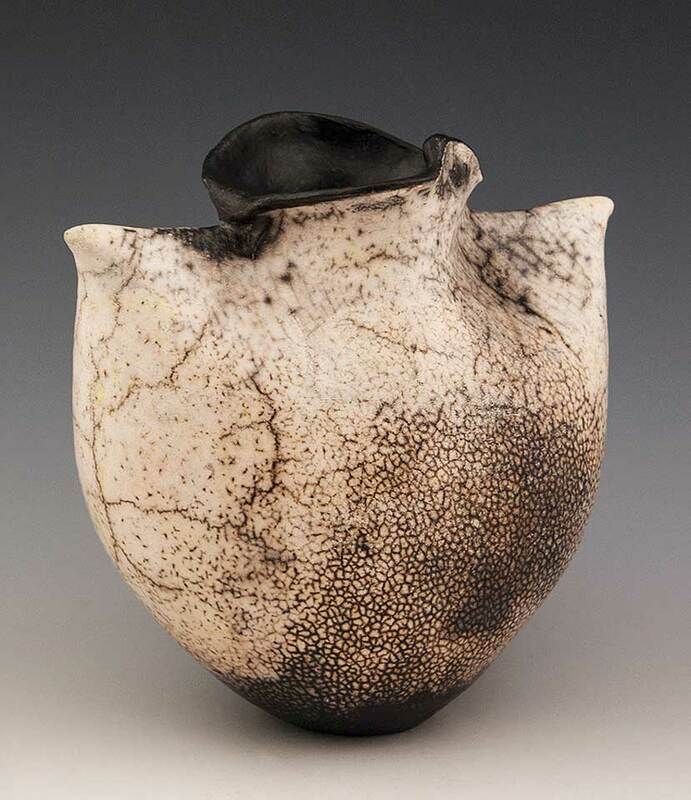 After several minutes, the vessel is removed from the bin and with the influence of water, the slip crackles away like an egg shell, exposing patterns where the smoke has penetrated cracks in the glaze, leaving behind irregular crack-like patterns on the clay surface. 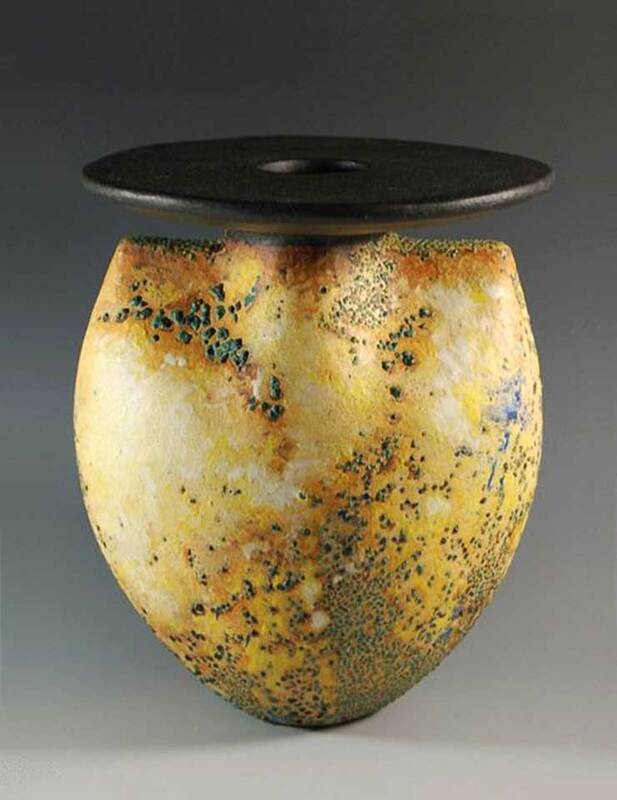 The vessel is then buffed with a thin layer of beeswax to finish.